"We are deeply troubled by the way that this shameful raid was carried out at a place where people were seeking sanctuary from the cold," said Nicholas Maritz, an attorney with the Legal Aid Justice Center. 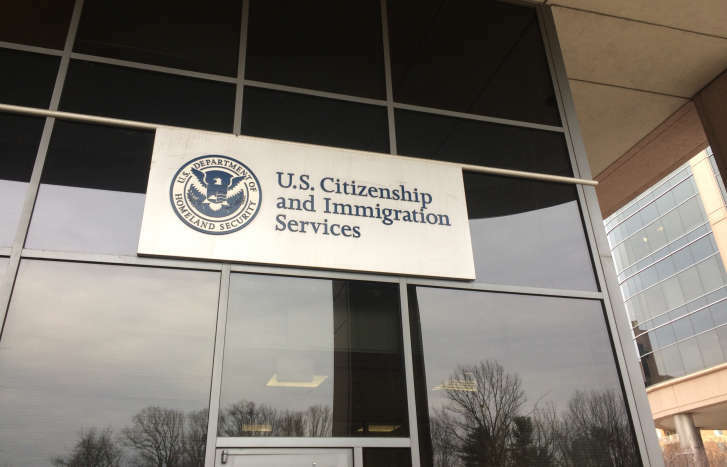 FAIRFAX, Va. — A group of about two dozen demonstrators gathered outside the Immigration and Customs Enforcement field office in Fairfax Friday and demanded more information about an immigration raid that they say happened near a church last week. Six men were reportedly leaving a hypothermia shelter Feb. 8 at the Rising Hope Mission Church in Fairfax County when several ICE agents confronted them, put them in handcuffs and took them away. The demonstrators, including some leaders in the faith community, criticized the agents and said such a raid violates ICE’s policy to not conduct enforcement actions near sensitive locations, such as houses of worship. “There is a disturbance in our community that has to be addressed,” said Nicholas Maritz, an attorney with the Legal Aid Justice Center, a group that provides legal representation for low-income individuals. Maritz said his organization is investigating what happened and is demanding more details from ICE about the how the raid was planned and carried out, as well as the identities of the people detained. “We’re gravely concerned that some of these men’s civil rights might have been violated,” said Maritz. The group put blame on the Trump administration’s recent rhetoric and hard-line stance on immigration, saying the president has put a target on all undocumented immigrants. An ICE spokeswoman said the agency’s sensitive location policy was followed. It requires agents to avoid arresting people at places of worship, schools and medical facilities. She said the arrests took place across the street and not on church property. In response to the reported raid, Virginia Gov. Terry McAuliffe sent a letter to Department of Homeland Security Secretary John Kelly, asking whether immigration agents are improperly targeting places of worship.